In a shocking decision that has many scratching their heads, the Food and Drug Administration has approved the powerful narcotic painkiller OxyContin for children as young as 11. Claiming that children have fewer options for pain relief than adults, the FDA itself asked drug manufacturers to perform studies to see if the powerfully addictive narcotic could be used safely in children ages 11 to 16. To no one’s surprise, the drug makers determined prescribing OxyContin to kids was safe. The fact that it would open up a whole new market for them was just a happy coincidence. Prescribing OxyContin to youngsters with short-term medical needs could be put them at huge risk for addiction according to Andrew Kolodny, director of Physicians for Responsible Opioid Prescribing. Scott Hadland, a specialist in adolescent medicine and substance abuse treatment at Boston Children’s Hospital and Harvard Medical School, agrees. “Among adolescents who are prescribed OxyContin, a small but significant number are going to become addicted,” Hadland told USA Today. The number of prescription painkillers sold in the U.S. has quadrupled since 1999, according to the Centers for Disease Control and Prevention. 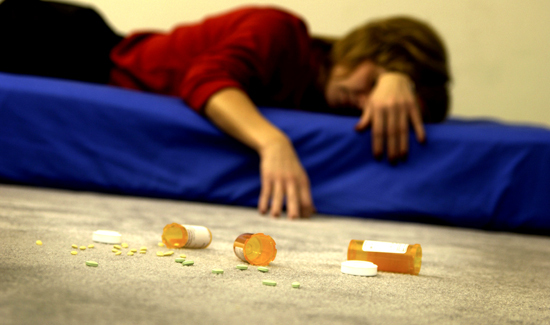 More than 44,000 Americans die of drug overdoses each year. Thankfully, people are starting to wake up the fact that drug manufacturers might not consider high rates of addiction to their products to be such a bad thing. For more on how Big Pharma and the FDA are playing an increasing role in illicit drug use, click the “Read More” link below. I’m very concerned with this approach. We prescribe far too many drugs and far too many to our children. We need to tread very carefully.